The bulk of the Namibian populace is black African, generally of the Ovambo ethnic group, which comprises about half of the population, primarily in the north. Other ethnic groups are the Himba and Herero natives, who speak a similar language. Namibia has some descendants of refugees from Angola. "Coloureds" and "Basters" are two smaller groups of people with mixed racial origins who together make up 6.5% of the population, and whites of German, Portuguese, French, Dutch, and British ancestry make up about 7%, the second-largest population of European ancestry, both in terms of actual numbers and percentage in Sub-Saharan Africa after South Africa. Namibia, officially the Republic of Namibia, is located in Southern Africa and shares borders with Zambia and Angola to the north, Zimbabwe and Botswana to the east, and South Africa to the south and east. The western boundary is the Atlantic Ocean. Lodged between the South Atlantic and the Kalahari Desert - Namibia benefits from many possibilities as one of Africa's youngest countries. 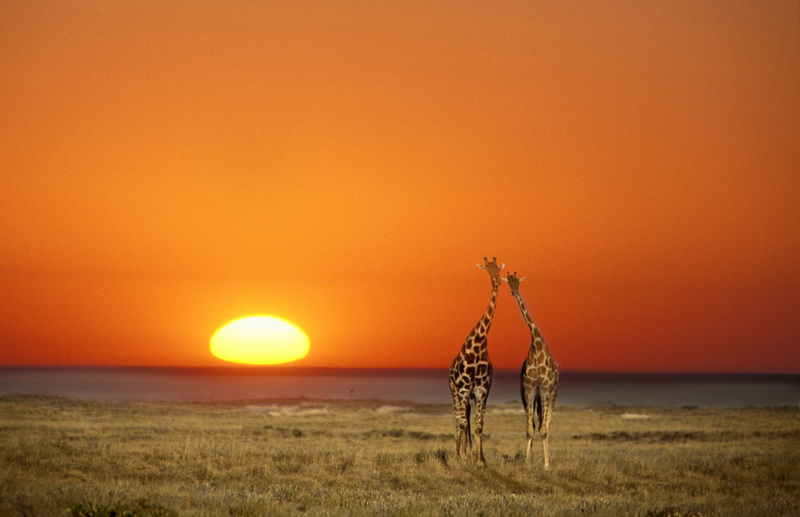 Besides remarkable mixture of cultures and origins, Namibia is any artists' dream, with spectacular wildlife, jagged mountains, wild seascapes, magnificent deserts, colonial cities, and almost limitless breathing space. Namibia is one of those awe-inspiring, heavenly places that make you wish every corner of our world were like exactly like this. Time and space are non-existent, the terrain is an endless canvass, and good memories abound. Enjoy new adventures each day, watch the variety of wildlife in natural environs, ponder the majesty of this wondrous creation, and finally when the night comes, relax under the sparkling desert sky and dream the night away. 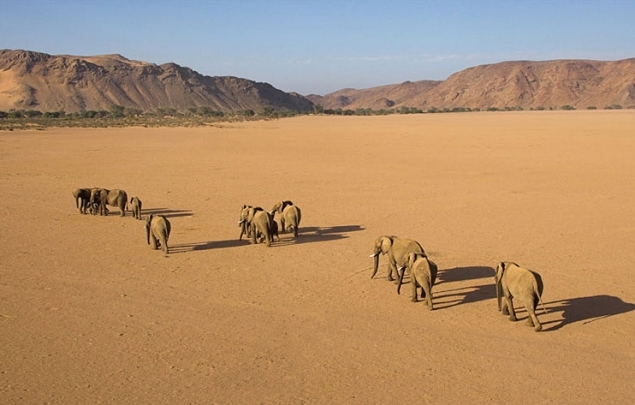 Namibia is the thirty-fourth largest country in the world in land size, and the least densely populated. The Namibian terrain comprises different geographical areas, each with distinct features and unique flora. 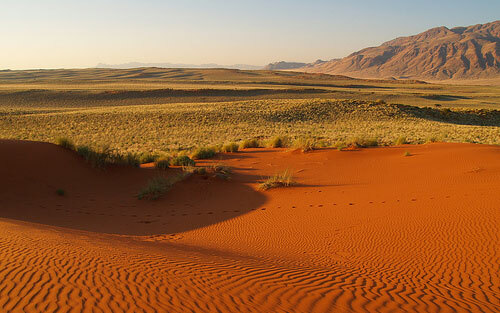 These include the Namib Desert, the Central Plateau, the Kalahari Dese, the Escarpment, and the Bushveld. The climate differs from arid in the west, to semi- arid and sub-humid in the central and northeastern regions. There are occasional extended periods of drought, and rainfall is mostly limited to the summer month (November to March). Because of the cold and nutrient-rich Benguela-Current that moves up from Antarctic waters, the country's shoreline is cooler than the rest of the country. Namibia became a German colony in 1884 and was known as German South-West Africa. The Herero and the Namaqua took up arms against the Germans beginning in 1904, and in the subsequent genocide almost half of Namaqua's population and three quarters of the Herero's population were killed. South Africa conquered the colony and governed it as a League of Nations mandate territory. Following the League'sreplacement by the United Nations in 1946, South Africa did not allow the mandate to be substituted by the United Nations Trusteeship agreement. In 1966, the People's Liberation Army of Namibia, a guerrilla group and South-West Africa People's Organization military wing, started a war for independence. It was not until 1988 that South Africa agreed to end its hold on Namibia, in accord with a United Nations peace plan for the region. In 1989, a move for sovereignty started, and finally in March of 1990 the country officially claimed full independence. 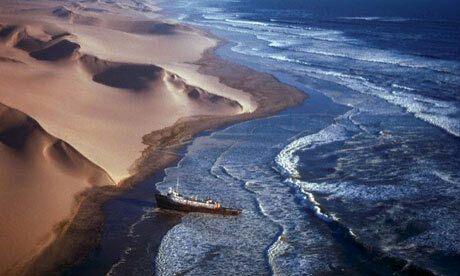 Walvis Bay was surrendered to Namibia in 1994 when Apartheid ended in South Africa. Sossusvlei - The clay pans of Sossusvlei in the Namib Desert, surrounded by splendid ochre sand dunes are one of Namibia's most popular highlights. The Sossusvlei dunes are among the tallest in the world, reaching more than 960 ft., and are an incredible spectacle of never-ending rolling images and jagged wind-sculpted crests. Though they have developed over a period of millions of years, their structures are continuously changing, rolling at every shift of the wind. Swakopmund - A captivating modest coastal town in the heart of the Namib Desert. It is often regarded as akin to Germany on the border of the desert - for its many beautiful German colonial structures and a distinctly German character. Spitzkoppe - Frequently referred to as the 'Matterhorn of Africa' due to its similarity in shape, this is a magnificent island of bald granite peaks located in a never-ending grassy plain, visible for miles around. Typically, entertainment in Swakopmund ranges from complex rotation on the casino roulette wheels, to loud parties at the numerous pubs and restaurants, to a variety of music, cultural events, and drama. Windhoek, the capital city, has a few trinkets obscured under its Western/African city facade, with the city center accommodating some favorites. An unforgettable evening usually starts off at Joesa Beer House to tease your appetite with an assortment of Namibia's wild game meat, washed down with a collection of the finest beers. And finally, the best experience is a night of bush camping out in the open with the stars and the sounds of the wild; this is absolutely the best you'll find in Namibia. The majority of Namibian whites and almost all those of mixed race speak Afrikaans and share the same culture, origins, and religion. A smaller percentage of the whites trace their origins back to German colonial settlers, and still keep German cultural and educational institutions. Portuguese settlers arrived from the former Portuguese colony of Angola. The Christian community comprises 80% of the populace, with at least 50% Lutheran. At least 10% of the populace embraces Indigenous beliefs, and the faith of the remaining segment of the population is unspecified. 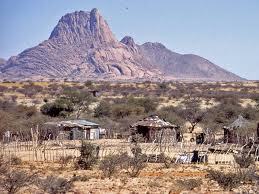 In the 1800's many Namibians were drawn to Christianity by missionary works. While a majority of the Namibian Christians is Lutheran, there also are Methodist, Dutch Reformed Christians, Anglican, African Methodist Episcopal, and Roman Catholic represented. Muslims in the country comprise about 3% of the population. Namibian cuisine is fascinating and diverse. In the southern region of Namibia, corn is the most frequent ingredient. It is part of preparing the bread that is usually served with tomato-based sauces or shellfish. Chicken and fish schnitzel, or fresh seafood are the most common meats used, but Namibians also eat beef, bush rat and goat. All over Africa, Namibia is famous for its exotic dishes and exotic ingredients. For vegetables the favorites are beans, rice, couscous, and tomatoes. In the western part, beans and rice is a regular dish served as an appetizer. Namibian meat is top rate mutton and beef, and other animal protein includes game birds, ostrich, zebra, and such seafood as rock lobster, kabeljou, and oysters. The traditional "braaivle," which is meat barbecue, is a delectable meal, as is "potjiekos," a hot stew of meat, chicken or fish cooked in a three-legged iron cast over an open fire.